Taking care of our clients, each step of the way. When we first set out to do business, we knew that taking care of our clients was something we'd have to work hard to protect as we grew. We put tireless hours into building a process that ensures clients receive the best level of service from their dedicated account manager. From your first contact submission, to the finish of the event, we will take care of you and your guests! We'll check our calendar for availability - we typically book events around 6-12 months in advance! We'll send over our Event Questionnaire to gather some details about your event and what your vision is! We want to talk details! We'll talk about menu options and service styles! We can meet for coffee, or over the phone! We want you to get a clear and accurate proposal for our services! We'll put something custom together for you that will clearly display our scope of work and detailed pricing to go with it! If things are looking good and you'd like to continue further, let's talk finer details, rental items, space planning, and more! We'll set our sights on you and your guests at the event! Some other items will fall into place, but we're looking forward to sharing food and beverages with you! We want pricing to be accurate and transparent. Pricing for catering is a tricky thing. There are so many options with catering that can make the pricing fluctuate in incredible ways! When we build proposals for our clients, we want the pricing to be as accurate as possible, and we want to give a clear picture of our services and everything we're involved in. We break our pricing down into 5 sections. Locally sourced and sustainable food is one of our main goals. We've built relationships with farms in and around Portland to ensure we get the best ingredients for each season! All items on our menu are priced per guest and are based on your final headcount. For a cocktail hour, we offer stationary items or passed items. Priced separately, items can range from $1/person to $5/person. Whether you're looking to host a Family-Style meal, Plated meal, or a more casual Buffet meal - we price each menu based on the unique blend of selections. Depending on the number of sides and entrees, and the items themselves, our menus may range from $20/person to $35/person. While desserts have never been a focus for us, we do provide some desserts when we're able. Let us know your ideas and we can talk pricing! An essential accompaniment to food, we'll provide non-alcoholic beverages for all of your guests. Along with pitchers of water on each table, we'll provide a beverage station with water, lemonade, Portland's own Extracto coffee, and Steven Smith teas. Your local and out-of-town guests will be thrilled with the quality! 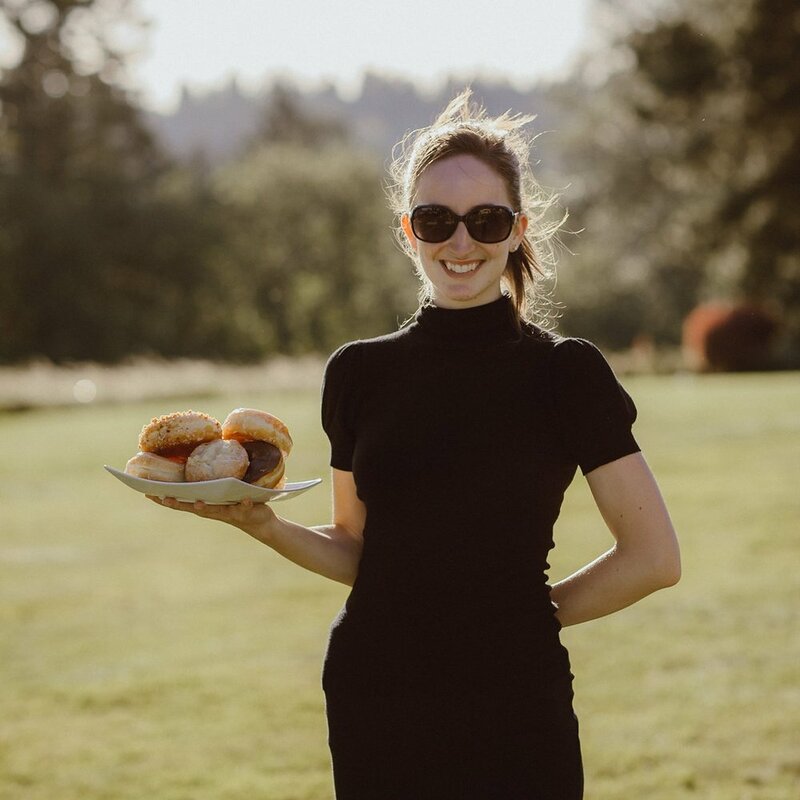 Known as Portland's most helpful catering crew, our staff will be on site every step of the way and will pitch in wherever needed. We arrive about 2 hours prior to guest arrival. This gives us adequate time to set the necessary things up (place settings, tables, chairs, food and beverage stations, etc.). We'll plan to be off-site 1 hour after the event concludes. Our crew will be led by your Account Manager who will oversee every aspect of your event. They'll be the first to arrive from our staff, and will be the last to leave. On site, we'll also have a front-of-house manager overseeing the serving staff, a head chef overseeing the chef team, and our bar manager. 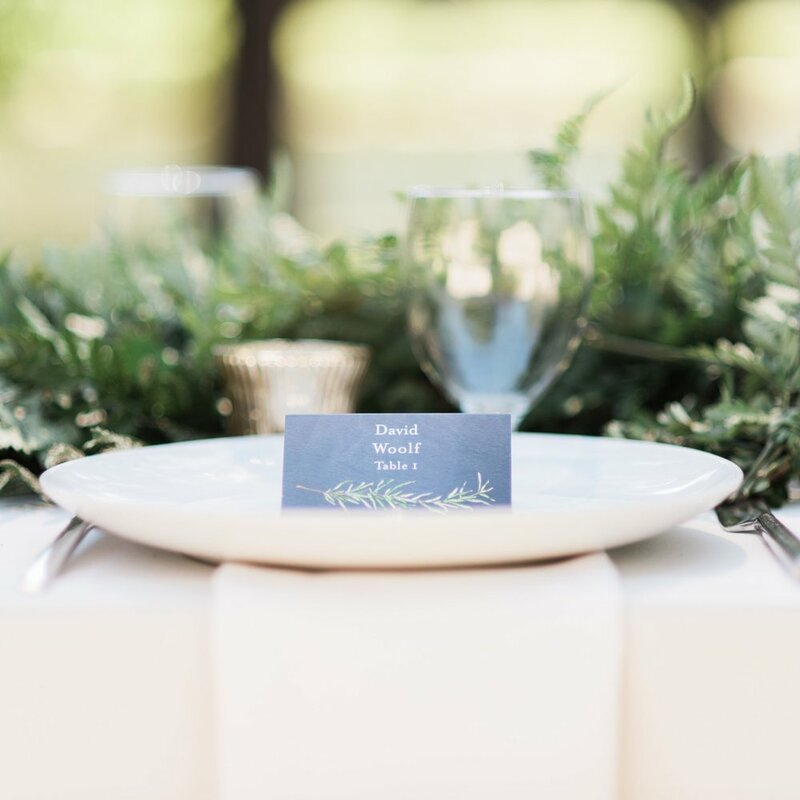 We have quite the reputation in the Portland wedding community for being prompt, helpful, kind, and enthusiastic. Just another way we ensure you and your guests are well taken care of! All staff is billed hourly, and depending on the staff member, we charge between $30 and $35/hour for each staff member on site. Server staffing is the main difference between our 3 main serving styles (buffet, family-style, plated). 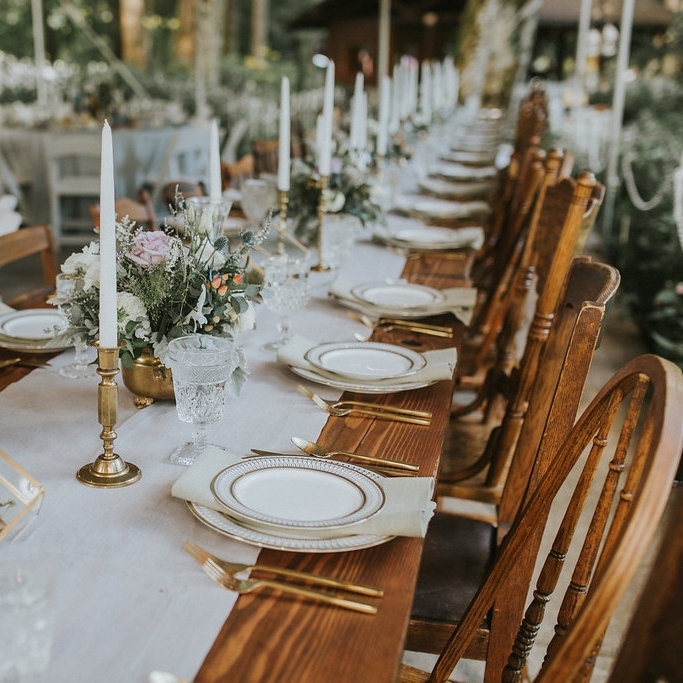 For a buffet meal, we'll typically staff 1 server per 50 guests; for family-style service, we'll typically staff 1 server per 25 guests; for plated meals, we'll typically staff 1 server per 16 guests. This doesn't take into consideration some venues that require some extra staff and setup. We are glad to facilitate rentals for you! Unlike many other caterers, we don't add a rental service fee for doing this - it's just a part of what we do! If you'd like us to use our experience on items we believe we'll need, we can do that. If you have some ideas for unique pieces and design elements, we can help with that too! 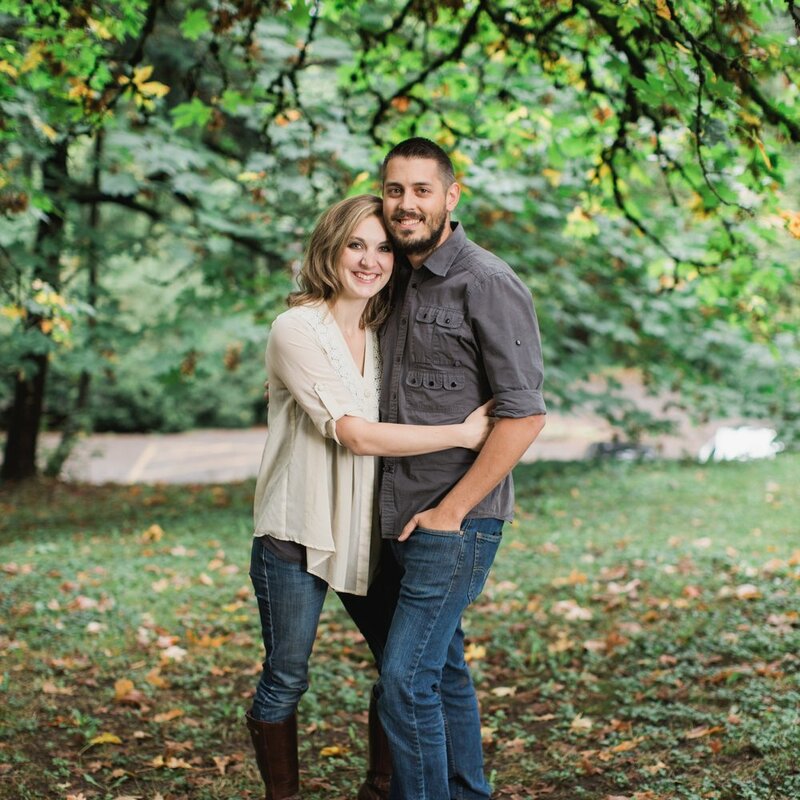 There are TONS of options in the Portland market; we can point you in the direction of some of our favorite people to work with and can help put a rental plan together with you. We like to keep things simple, and while our staff is well-compensated for their time, an extra gratuity is always appreciated - especially considering the long hours and demanding work they put in. Instead of tacking on an extra 20% to your contract - we charge $50 gratuity for each staff member on site. That money goes directly to them and we appreciate your enthusiasm in showing them they're appreciated! Do you work with coordinators? Of course! We highly recommend having a coordinator to help with planning, designing, and facilitating your event! Some of our favorites may be found on the People We Love page! What equipment do you need on site for cooking? 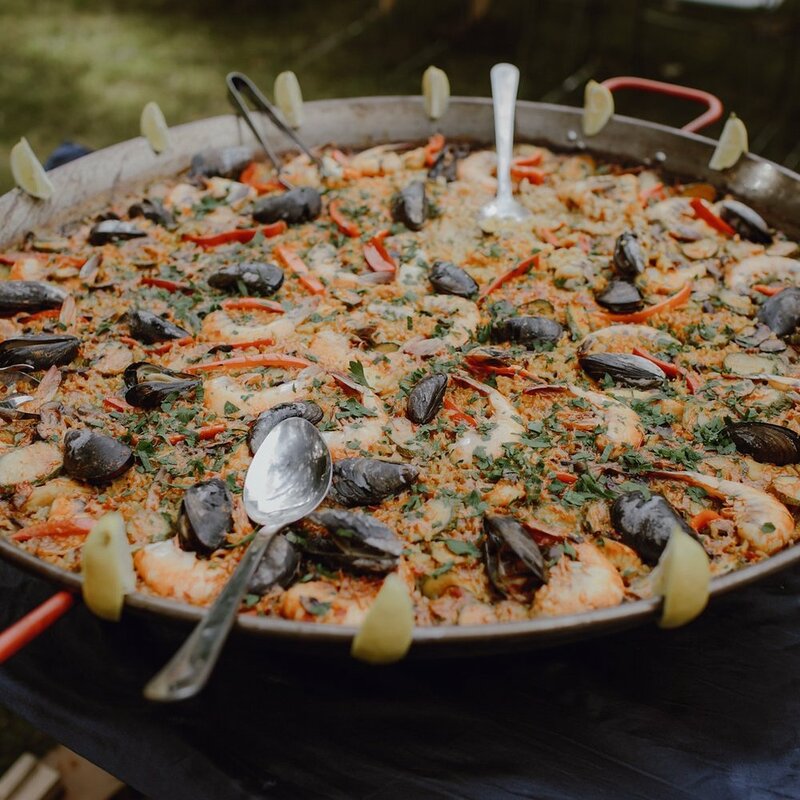 We know that not all venues have kitchen spaces for us to use - which is why we've grown accustomed to bringing all of our own supplies, or renting larger cooking equipment from a local rental company. One thing that sets us apart from most other caterers is that we cook most of your meal on site! Your guests will love the quality, and we'll bring everything we need to knock their socks off. We'll need a 10' x 20' space (or comparable) in order to provide the service you want. What are the pricing differences between buffet, family-style, and plated meal service? The biggest difference is in the staffing. We price our menus the same, so there's little change there. For family-style service, we'll be bringing platters of each entree item to each guest table and to execute that service flawlessly, we'll need extra hands! The same goes for plated meal service; more hands means your guests are taken care of better. I'm so sorry, but offering our bartenders for hire is a service we no longer provide. Our bar service is incredibly well-curated and our beverages are handcrafted for amazing quality. We reserve our bartenders for events where our bar service is taking place. Can you give me a generalized quote? When we offer pricing for our services, we want it to be as accurate, thorough, and complete. Which is why we want to talk over things with you beforehand. If so, we'll be in touch soon!